Tread Carefully – Hello, Confidence! There are a three simple rules I think you should follow no matter what you are doing or how experienced you are on the treadmill. These are the rules all my clients follow and the rules I follow. They are easy and take almost no effort, but are still often ignored. I urge you not to ignore them because there is nothing worse than falling on a moving treadmill. I’ve seen it and it’s not pretty. 1. Don’t stand on the treadmill belt while starting the machine. Instead, stand on the plastic, gripped sides of the treadmill when you push start. 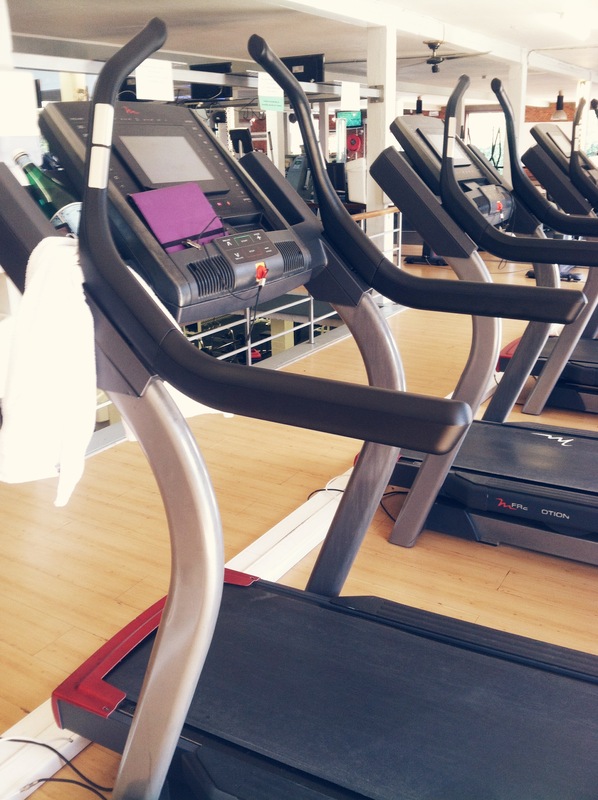 This is for your safety and for the good of the treadmill. If you are on the treadmill belt when you hit start, it puts a lot more effort on the motor and the machine to move the belt and all your weight from a dead-stop. You can actually hear it groan from the effort. 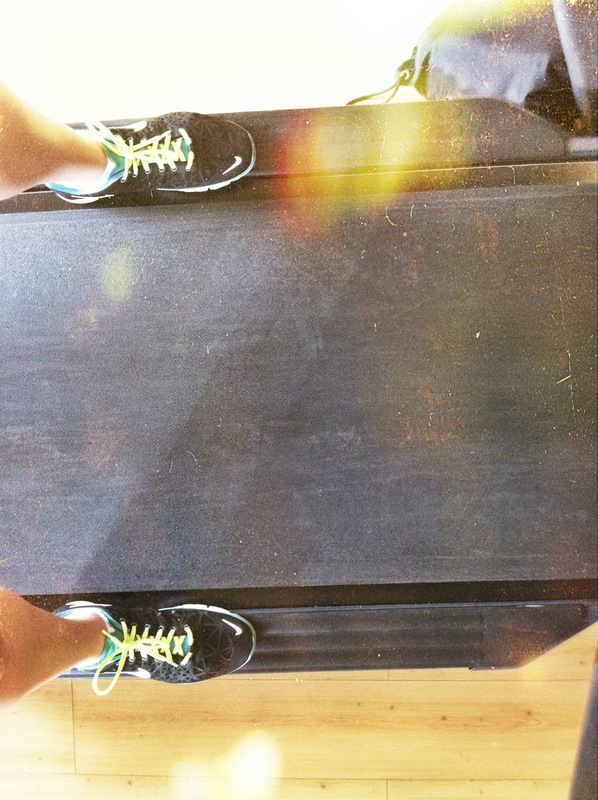 Standing on the side of the treadmill also allows you to verify that the treadmill belt starts safely, smoothly, and slowly before beginning. I always stand on the side and start the treadmill at a low-speed. Then, while still holding on with both hands, I step onto the slow-moving belt. As soon as I am sure I am safely on, I release my hands. If you don’t feel safe releasing your hands, by all means don’t. 2. Use the safety clip. Please. It takes five seconds to clip to the bottom of your shirt. It’s so easy and it’s so useful. That clip is there in case you fall or slip. 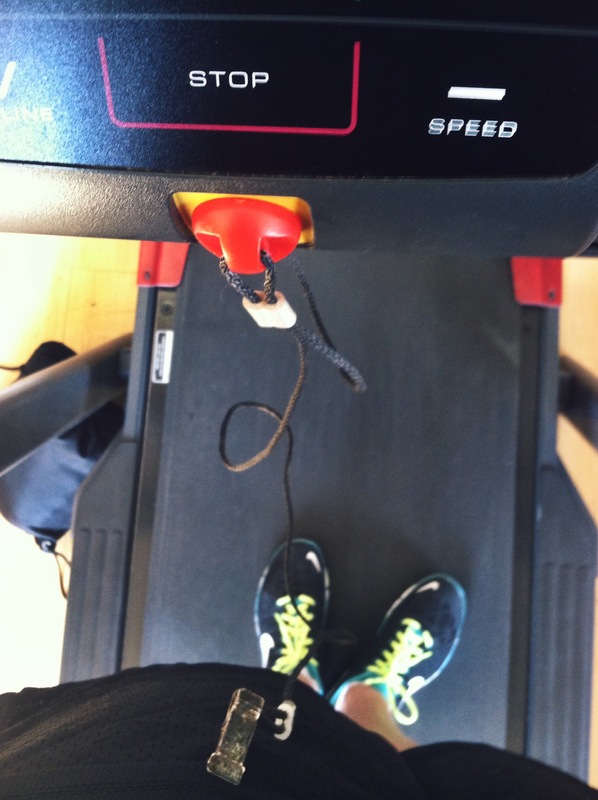 When you are attached to the treadmill by that clip, if your mid-section moves too far away from the front of the treadmill, it will cause the treadmill to immediately cut its power. Meaning, as soon as you slip and start to fall, the treadmill belt instantly stops moving. Trust me, you want that. There are two things that happen when you trip or fall on the treadmill. One, you are not able to grab on to anything and go sailing off the back of the treadmill into whatever happens to be behind you. Usually that thing is a wall. Two, you instinctively grab on to one or both sides of the treadmill. In this case, your legs are now scraping against the treadmill as it continues to move. When this happens, you will lose skin –a lot of skin — anywhere that touches the moving treadmill belt. I’ve seen it happen and would not wish that upon anyone. It’s also easier to fall than you probably think. Whenever something falls, like your towel or iPod, you will instinctively reach to catch it. When you do that, you stop stepping. When you stop stepping on a moving treadmill, you fall. Another easy way to fall is stepping too far to one side while on the treadmill. If you look to your right to see who just walked in, you will actually step to the right. If you step too far to the right, you will step on half stationary and half moving treadmill. When you do that, you will fall. So, please, spare your body and dignity and put on the safety clip. 3. No cell phones on the treadmill. Yes. I’m talking to you, Ms. Chatty Cathy. It may seem like the most important call in the world, but there is no call worth taking while on a moving treadmill — or while stepping onto a moving treadmill. Why? Because when you’re focused on your phone, it’s that much easier to take a misstep and fall. If you need to take a call, stop your treadmill, safely get off, and take the call. Beyond safety, no one on the treadmill next to you wants to hear all about your dinner plans or your most recent business proposal. Talking on a cellphone on the treadmill is disruptive to you and those around you. So be smart and be polite and take your cellphone use far away from the treadmill. These three rules take almost no time and basically no effort, but they will save you and your treadmill a lot of potential damage. So remember: start with your feet off, your clip on, and your phone down. Please spread the word and tread carefully.